Provide the calculation with a title. Click here for more information about defining titles. The defined formula is shown here. 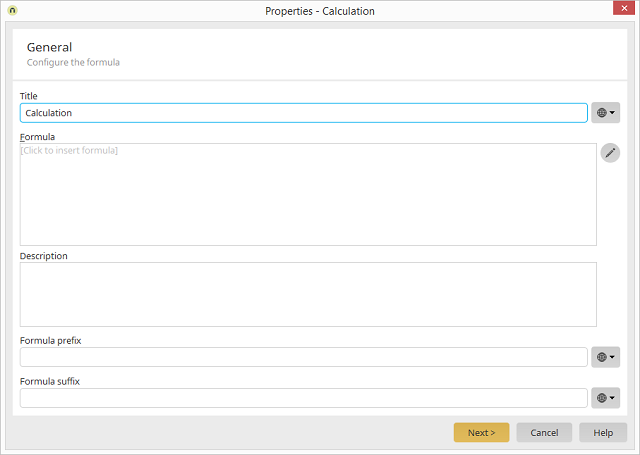 Underneath the formula, a description can be entered that is also shown in the description for applications. In these fields, text can be entered that is displayed on the application page in front of and behind the formula, respectively. Constants can also be implemented here.